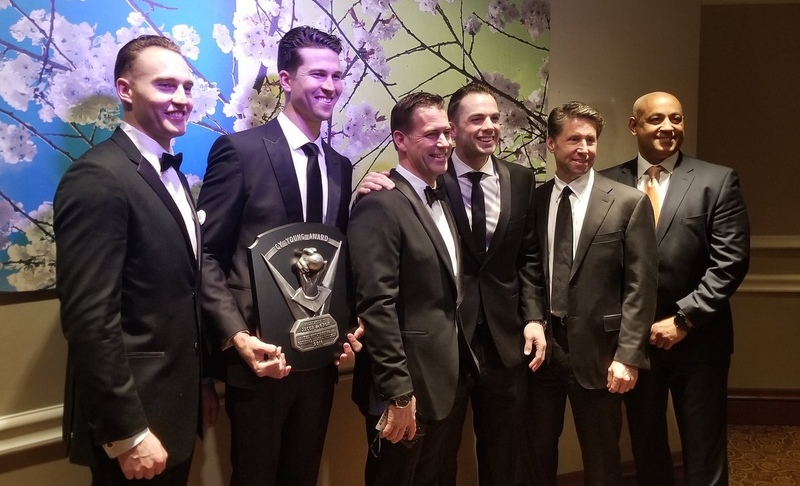 The BBWAA hosted their yearly dinner in New York City and three Mets were honored. Brandon Nimmo won the “Good Guy” Award, while Jacob deGrom walked away with the National League Cy Young Award. At the dinner, Sandy Alderson let everyone in attendance know that he’s been healthy and cancer free for the past four months. Mets former head of Public Relations Jay Horowitz won the “Long and Meritorious Service” Award. The Mets signed Justin Wilson to a two year deal worth $10MM.